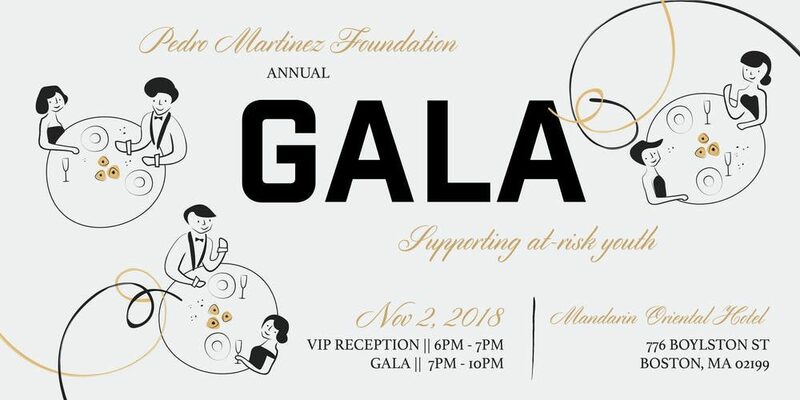 Major League Baseball Hall of Fame pitcher, Red Sox legend and MLB Network and TBS analyst Pedro Martinez and Pedro Martinez Foundation Executive Director Carolina Martinez will welcome some of the biggest names in baseball and Boston sports to the Mandarin Oriental Hotel on November 2nd for the Third Annual Pedro Martinez Foundation Gala. The event will raise funds to support the children and families served by the Pedro Martinez Foundation in the Dominican Republic and the United States. Pedro and Carolina Martinez will celebrate with a night of baseball past and present, food and drink, and a silent auction in support of the Pedro Martinez Foundation at the Third Annual Pedro Martinez Foundation Gala. The Gala will raise funds to expand the number of children and families supported by the Foundation, with 100% of the profits from donations will go straight to the kids we help in Latin America and the United States. Tickets for the Third Annual Pedro Martinez Foundation Gala can be purchased here. the Dominican Republic to expand ongoing efforts for children who need help the most. We’re excited to announce that we’ve broken ground and construction has begun! The Foundation needs support now more than ever so it can complete this important project and run all initiatives year-round. The Dominican government has signed on as a partner and will match all funding for the Charter School, so every dollar we raise makes that much more of an impact. The Pedro Martinez Foundation is devoted to transforming the lives of children through holistic education and social services, currently supporting thousands of children in the United States and the Dominican Republic. The Foundation has positively impacted over 10,000 children and families, including awarding over 4,800 grants and scholarships for teenagers, young adults, and parents to go to college or go to school for a technical trade. At the Pedro Martinez Foundation Community Center in Santo Domingo, the Foundation provides nutrition counseling, medical and dental care, career training, parenting workshops, day care programs, social services, a computer lab, sports classes and job placement for more than 1,000 children.